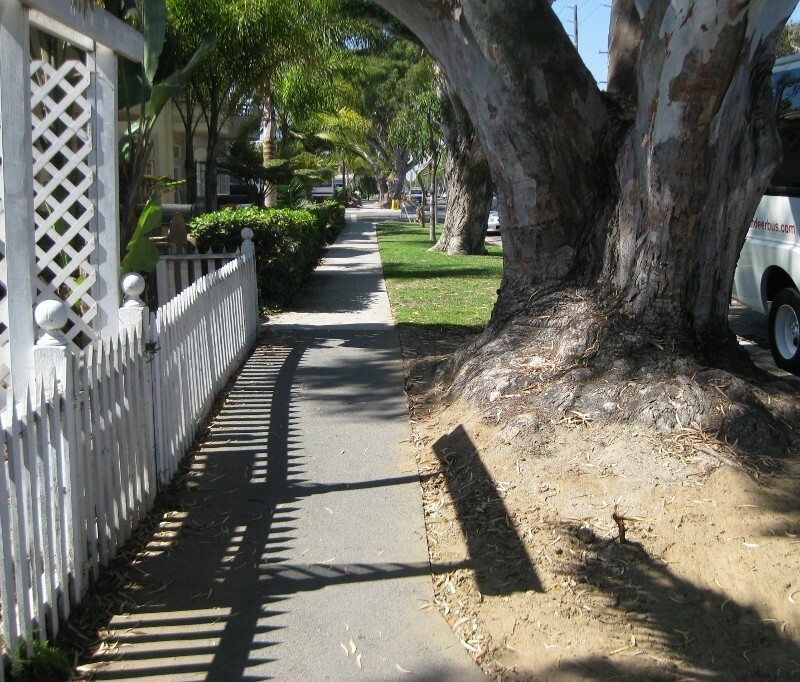 The City of Huntington Beach was having issues with cracked and heaved cement sidewalks due to large, old eucalyptus trees in the area. The city wanted to find a solution that did not involve the removal of the trees which is where Rubberway came in. The city installed three segments of Rubberway Sidewalk along a large residential street as an alternative to cement. 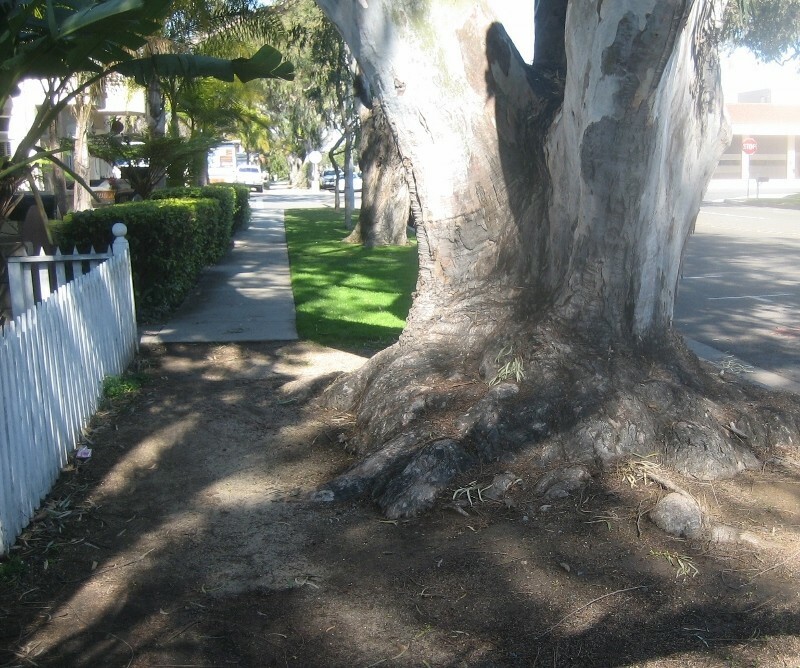 The porosity of the rubber sidewalk allows water to penetrate through to the subsoil where it nourishes the tree roots below the ground, encouraging deep rooting thereby reducing root heave. The flexibility of the rubber sidewalk prevents cracking if there is any root growth or movement below the surface. This rubber sidewalk was installed in 2008 and is still in great condition. Poured in place rubber sidewalks are long lasting, durable, and require very little maintenance in comparison with standard cement and asphalt.